Photo by Bob Stanger. 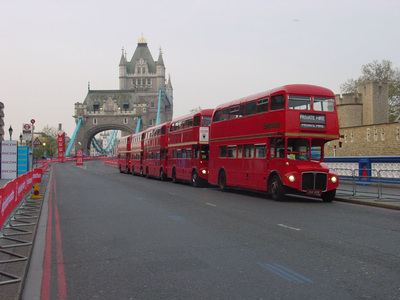 Buses lined up on Marathon day. 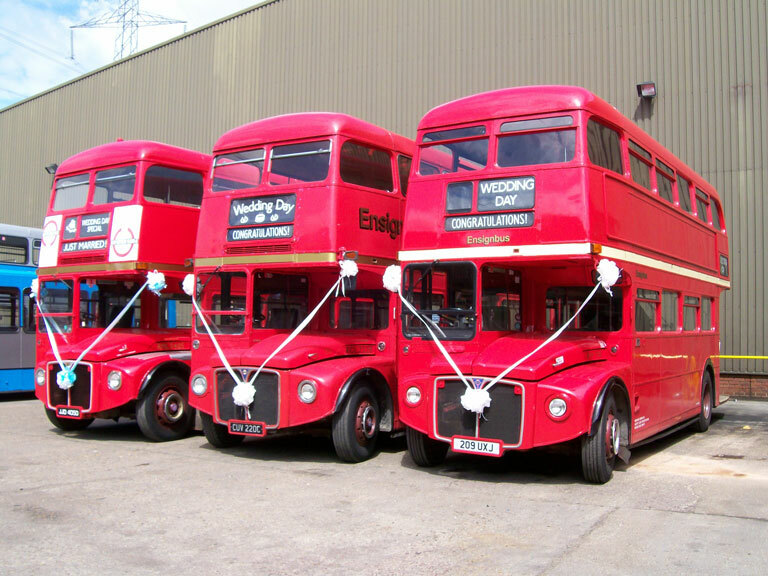 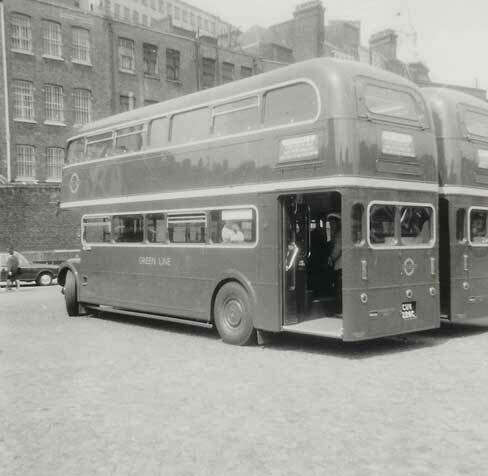 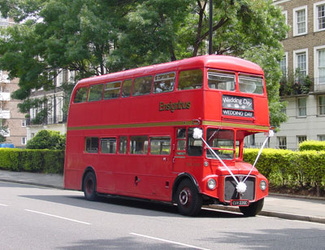 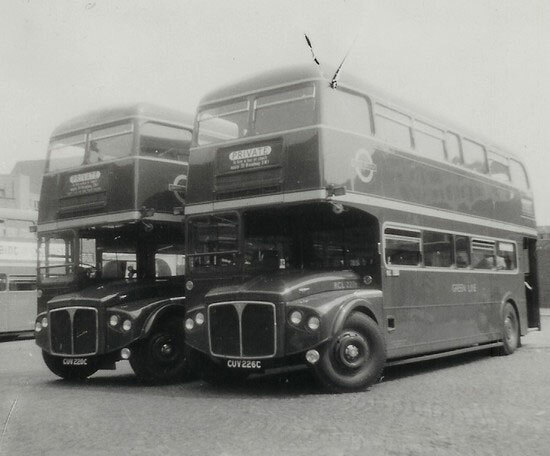 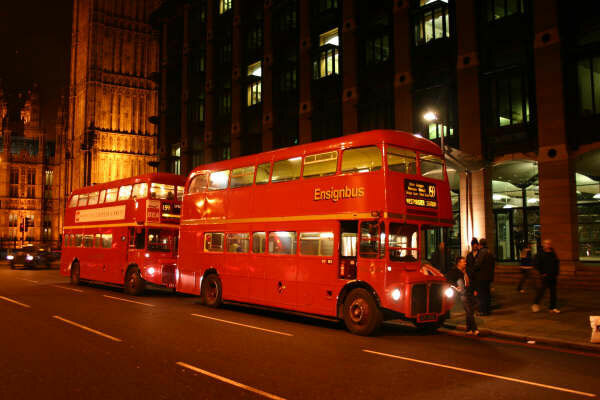 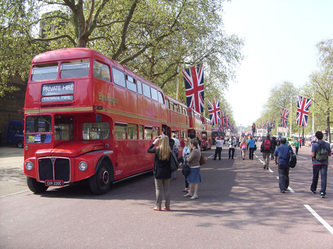 The Routemaster truly is a London icon. Most of them served the capital for more than 50 years and are still as popular as ever. 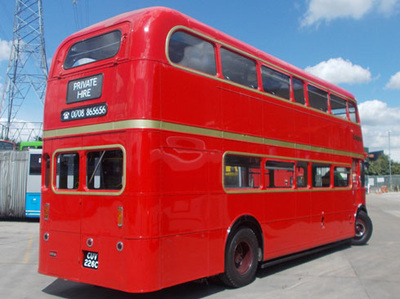 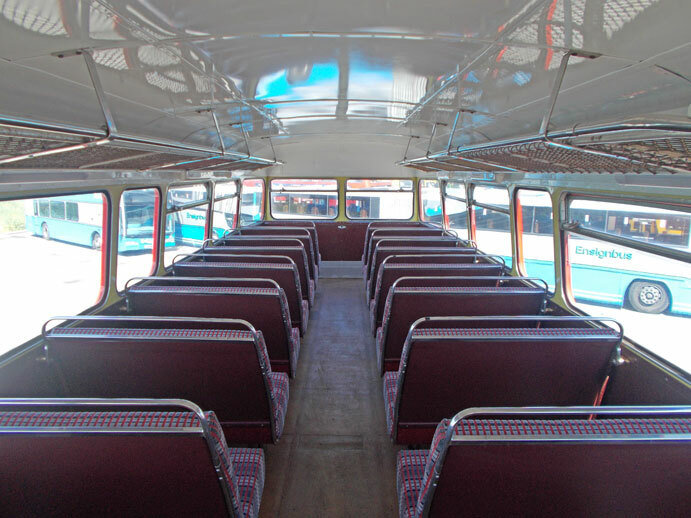 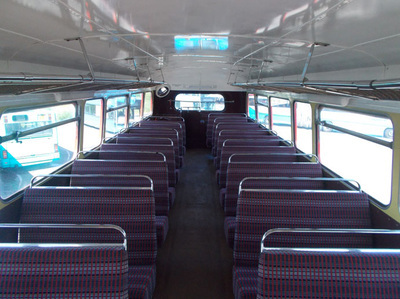 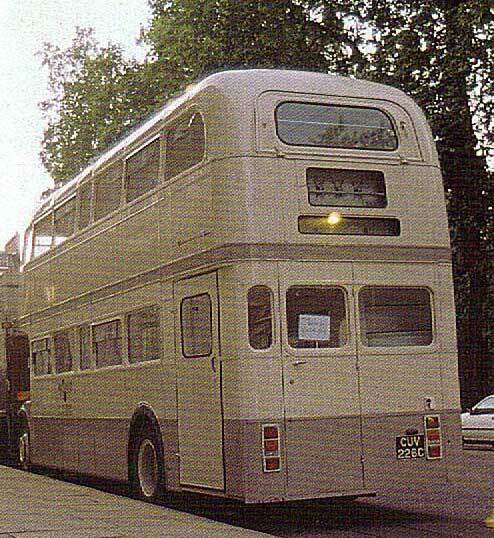 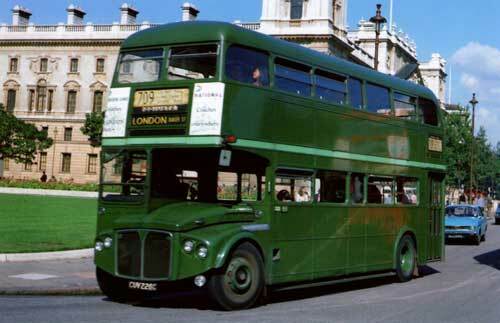 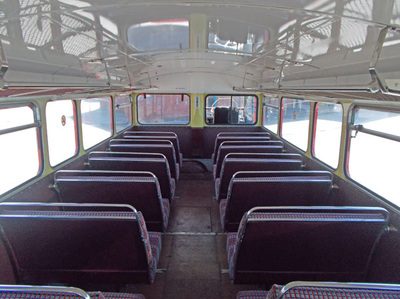 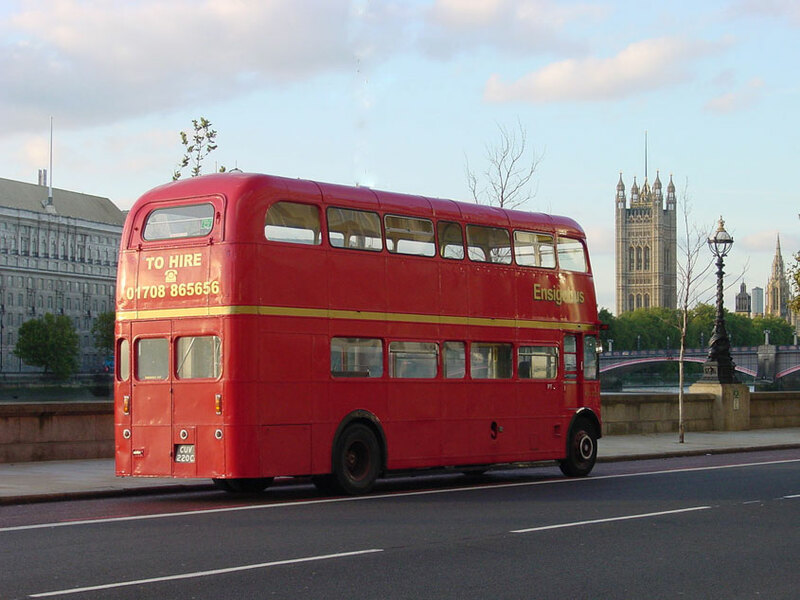 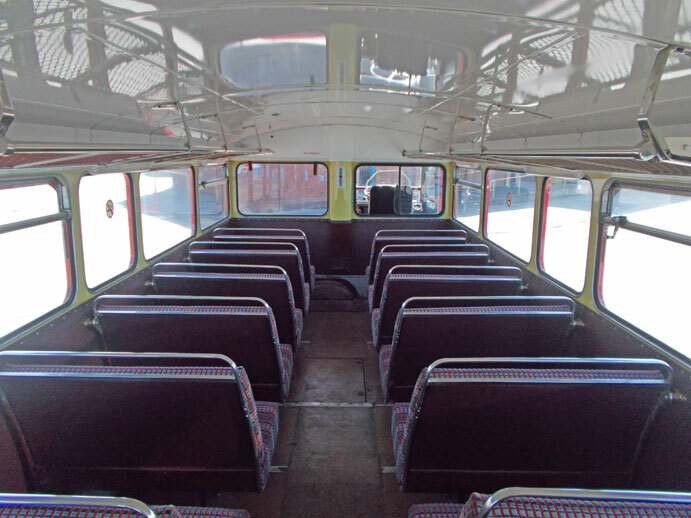 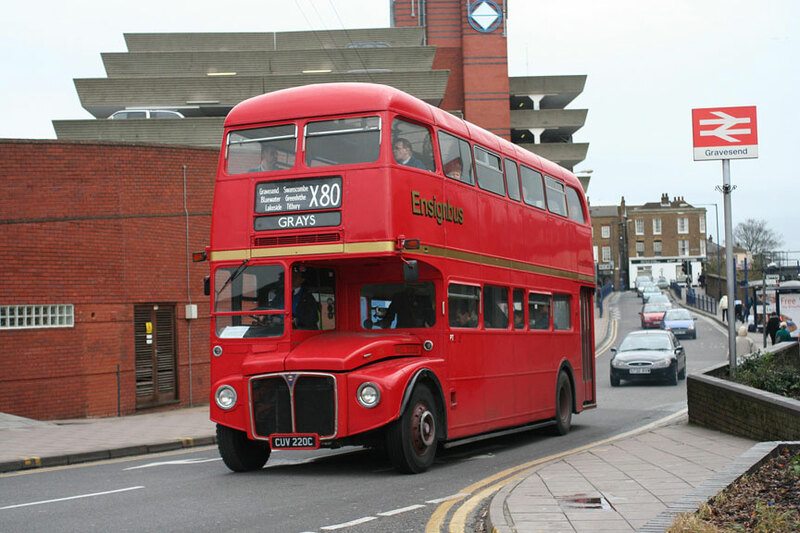 This bus is one of the special longer coach versions dating from 1965 and often referred to as the ‘Ultimate Routemaster’ they were built to be used on the express commuter Green Line services to & from London. 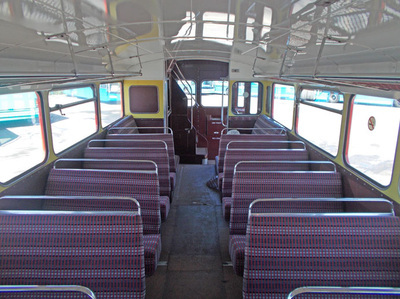 To meet this requirement they had more comfortable seats, better lighting and greater speed. They were also fitted with platform doors making this vehicle ideal if your event is outside of the warmth of summer or involves long stretches on faster roads. It also means that a conductor is optional, as the driver can control the doors, thus allowing it to be one man operated and therefore offer very competitive rates and thus it’s one of our most popular buses. 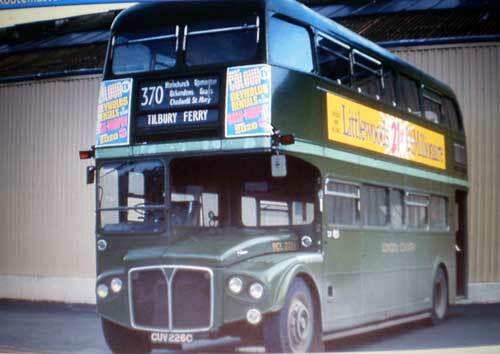 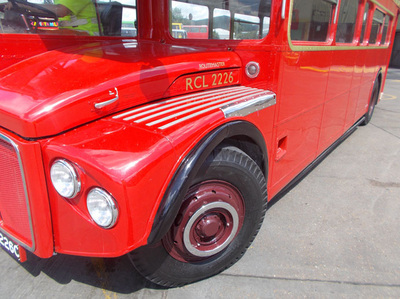 RCL2226 was delivered in May 1965 initially to Grays where it was stored awaiting entry into service. The following month she moved to nearby Romford where she took up duties on the busy commuter routes 721/722/726 running from Essex into Aldgate bus station. 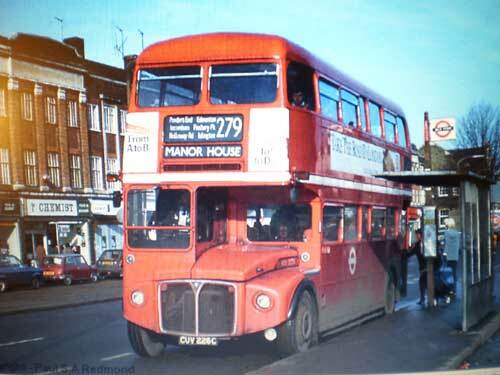 In November she briefly moved to Hertford before again settling down to commuter duties in Romford until March 1968 when she moved again this time to Godstone. With the formation of London Country Bus Services, formally the green Country Area of London Transport RCL2226 found herself transferred to the new company but still plying her trade at Godstone. 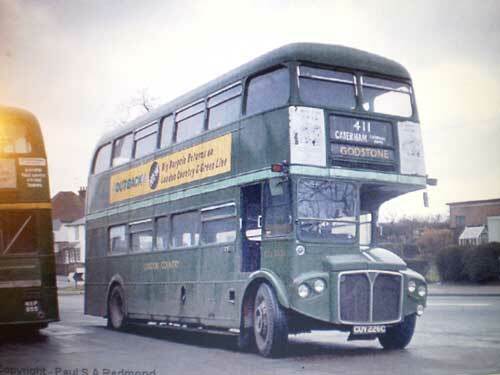 In January 1972 she went through her first major overhaul, returning to Godstone still in Green Line livery. 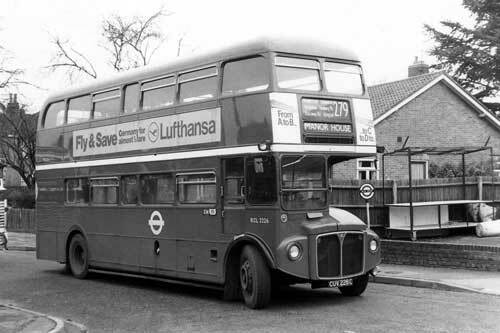 In March 1976 she again changed garages heading south of the river to Northfleet, the stay here was pretty brief as in May she moved through the Dartford tunnel back to Grays garage where she was demoted to bus duties. 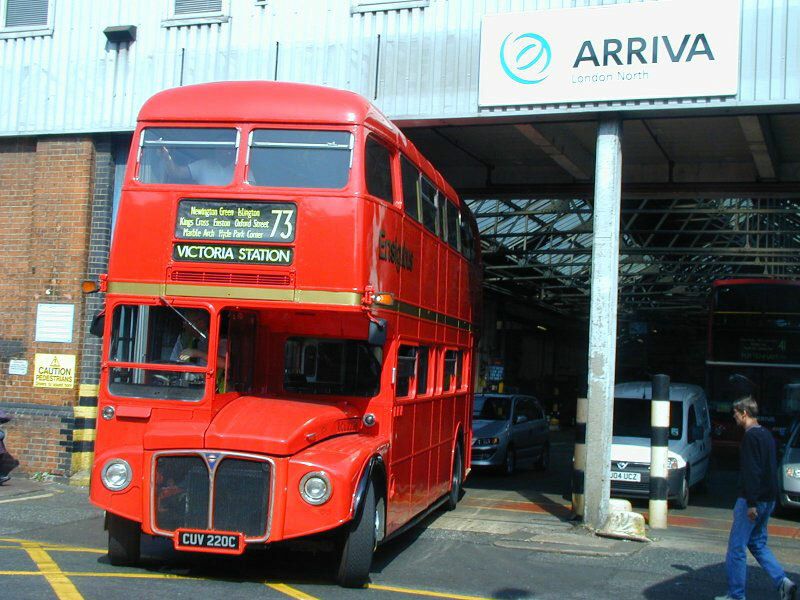 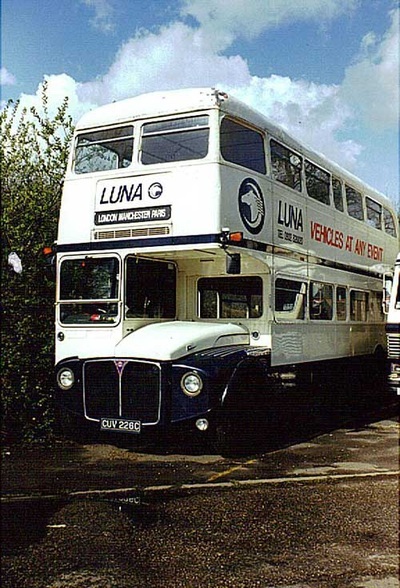 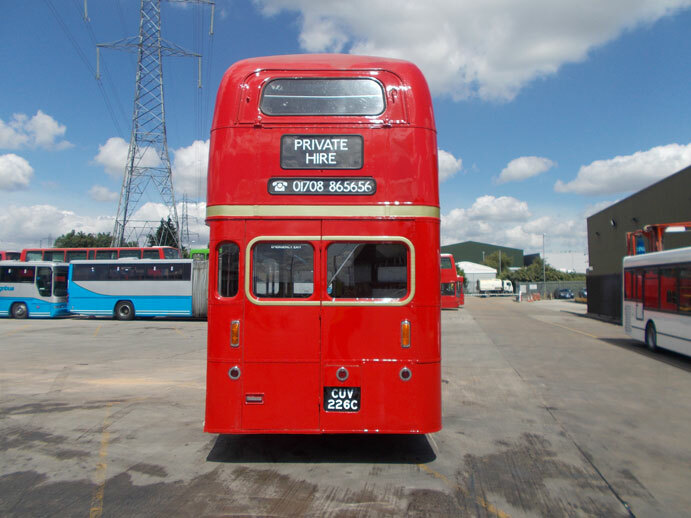 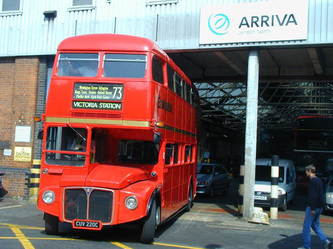 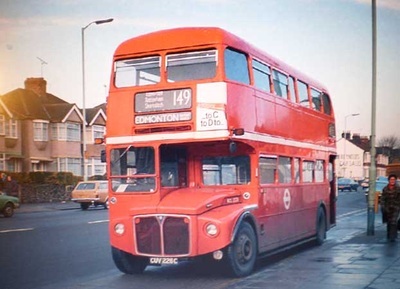 As a bus she then moved to Crawley in June of 1977 before returning to Godstone in November, where the following September she was declared surplus to requirements and delicensed. 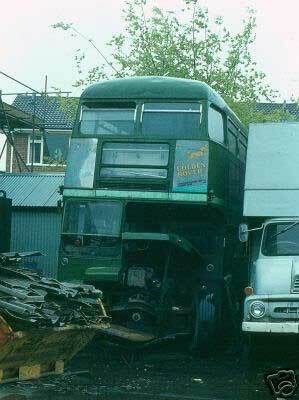 The end appeared nigh when she was sold to Wombwell Diesels for scrap along with many other of her class. 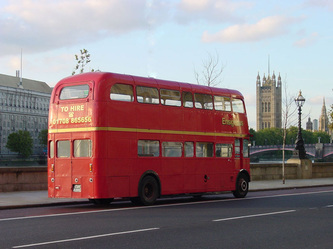 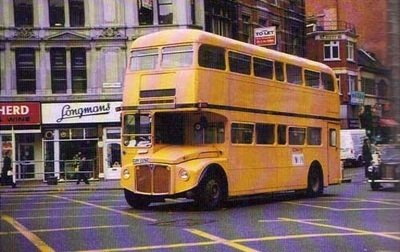 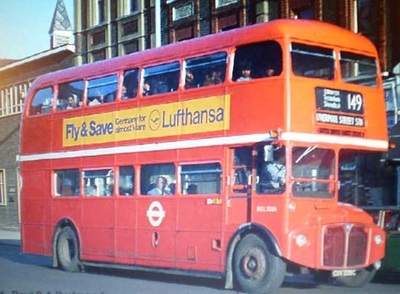 However London Transports shortage of buses was acute and it purchased many of London Country’s cast offs from the scrap yard and so it was 2226 returned to the capital, had doors removed, was reseated and converted to Central area specification and was duly painted red in September 1980 before taking up duties at Edmonton on the 149s. 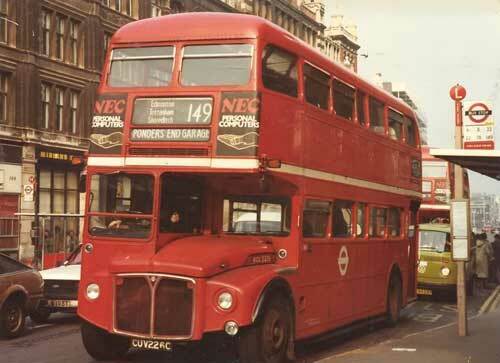 The shortage of buses gradually eased as the RCL buy backs found themselves once again facing an uncertain future when withdrawn in the summer of 1984. 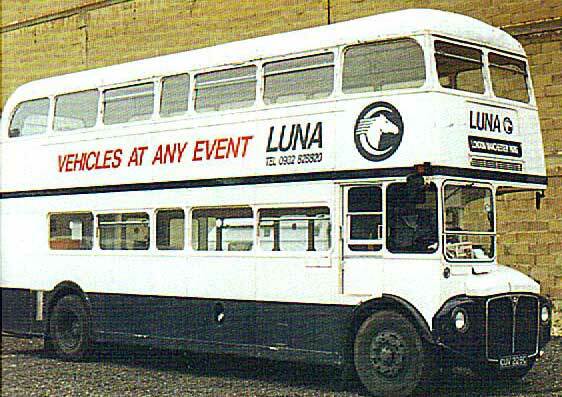 A buyer was found over a year later as she passed to Willy's Wheels who converted the vehicle to an industry on location catering vehicle. 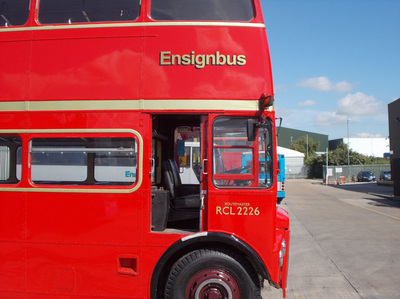 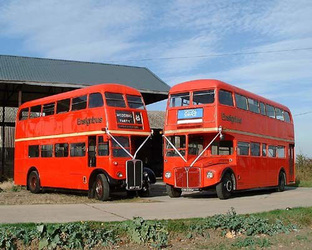 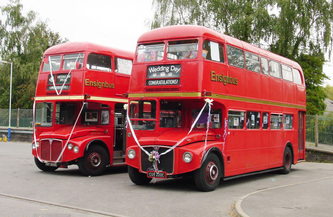 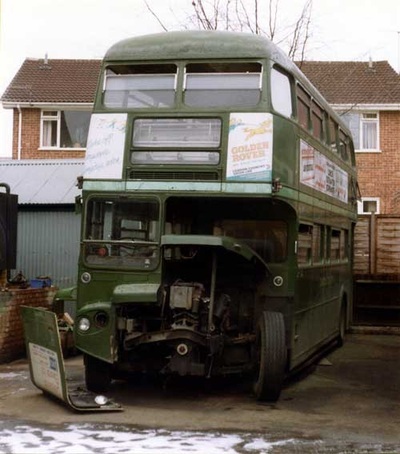 She remained in this role for nigh on the next twenty years in various guises and liveries until once again being found in a scrap yard and recovered by Ensignbus in 2006. 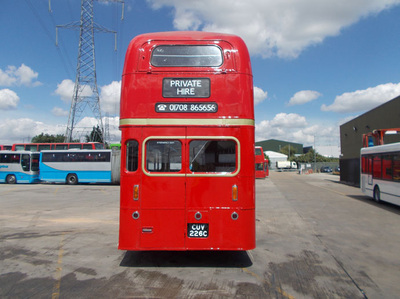 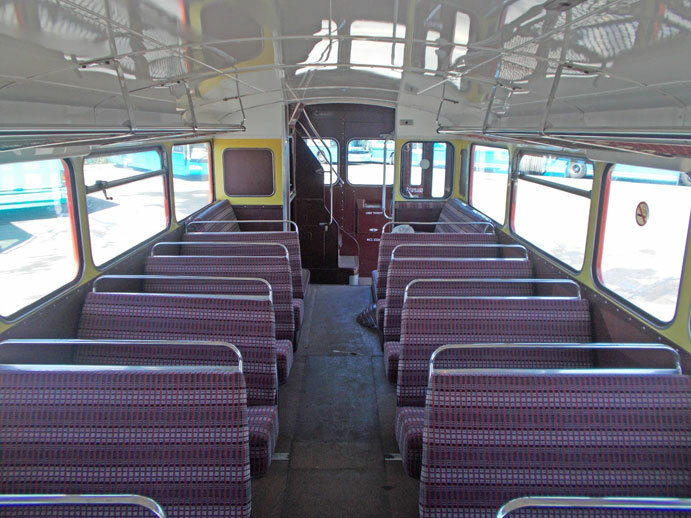 Having to wait her turn for restoration work commenced after a hunt for the missing parts had eventually found everything that was required and whilst red on the outside the interior has been returned to as it would have been when new as a Green Line coach some 50 years ago.